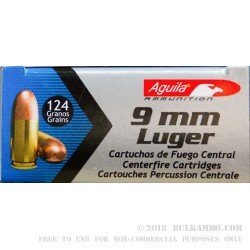 Impressively priced handgun ammunition for the factory new condition and reliable history of performance by the Aguila manufacturing plant in Cuernavaca, Morelos Mexico. This is a fantastic offering for those who want the premium style range rounds instead of range reloads but don’t want to pay a premium price. 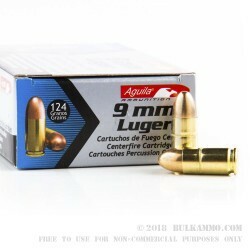 Enter the Aguila 124 grain full metal jacket 9x19 ammunition shown here. Once upon a time Remington helped to establish the Aguila facility (1961) which would later be changed to Industrias Technos, which now manufactures the Aguila lines. The ammunition is proven through many military and law enforcement contracts and billions of rounds produced, sold and shot over the years. This is a fantastic value for ammunition that everyone who has shot it, knows, is as good, if not better than most of its competitors. This is a Boxer primed brass cartridge casing. 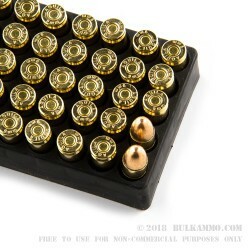 The case is a premium piece of brass and can easily be used for multiple reloads. 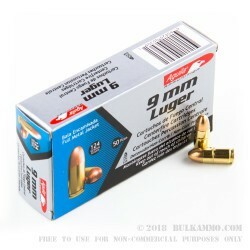 For anything from plinking to range and target use this is a great choice. It is not the premier self-defense ammunition, obviously, but it is a fantastic option for those who want new ammunition that is relatively clean and has a reliable historic performance.